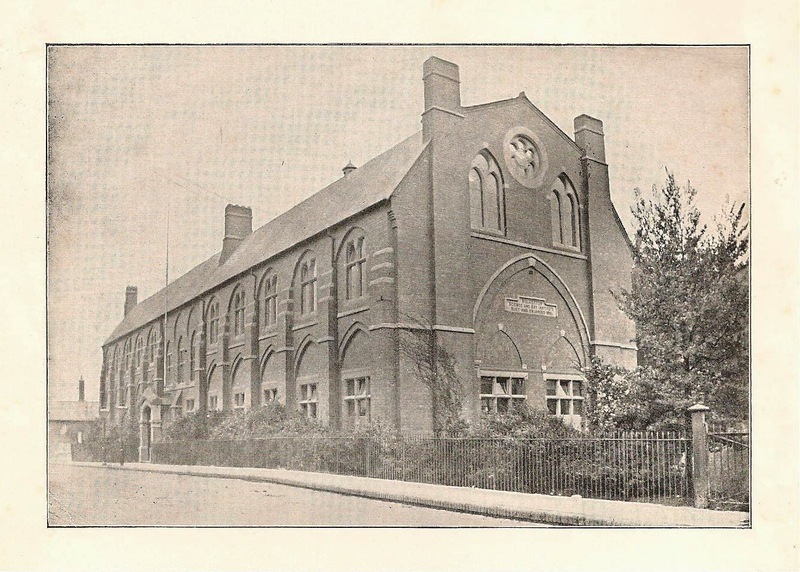 In 1860 the Radcliffe Trust finally backed off from their hard-line position of no further expansion in Wolverton. The railway industry was growing rapidly and the original 22 acres was insufficient to contain the workshops and housing and amenities. 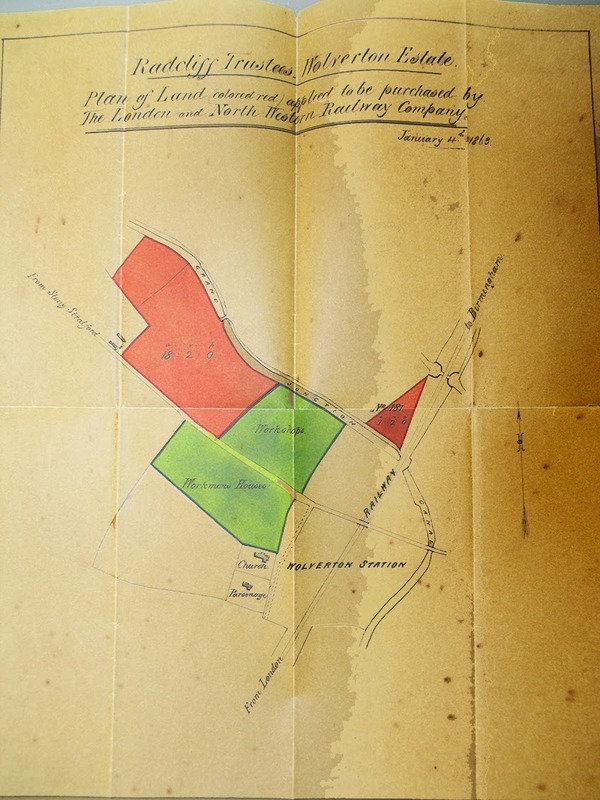 In 1854, the Railway Board had to resort to the creation of New Bradwell because they could gent additional land released by the Radcliffe Trust. This plan here shows the beginnings of the westwards expansion. The area in green north of the Stratford Road opened up another field for works expansion, backing onto Bury Street. bury Street and Gas Street were still used for residential purposes at this time, although the other residential streets on the north side had already been torn down in the 1850s. The green area south of the Stratford Road shows the land occupied by the new housing development that started in 1860, that is the Stratford Road and Church Street as far west as the Cambridge Street back alley. This remained the western edge of Wolvertonuntil the 1890s. The plan was drawn up because the LNWR wished to further expand their workshops. This area is marked in red. Notice how the land skirts some farm buildings and possibly some cottages. These are probably the remnants of an 18th century farm. Indeed earlier maps show a track going over a canal bridge to the Old Wolverton Road. That became redundant after the Stratford Road was built in 1844 so the bridge was probably taken down. Here’s an intriguing reference from Oliver Ratcliffe’s book publish in 1900: The Newport Hundreds. 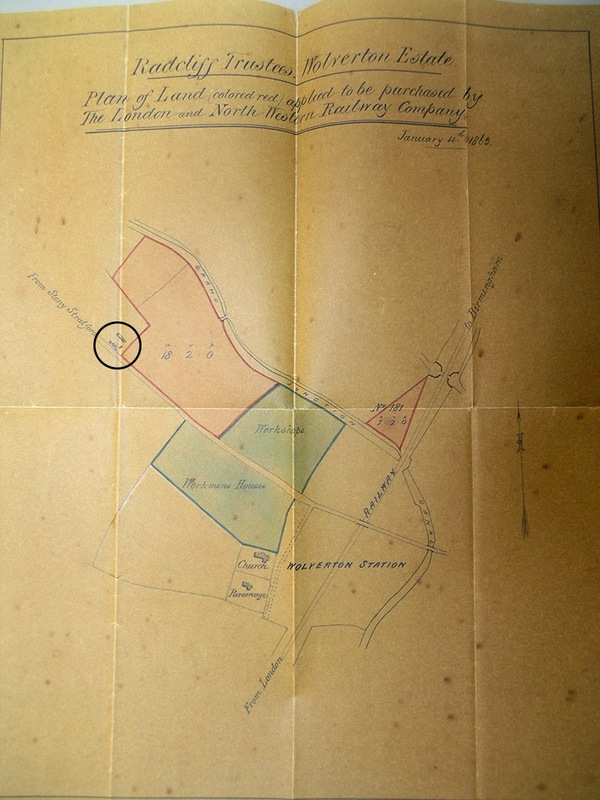 The 1820 map shows a cluster of buildings more or less at the end of Jersey Road. I had always assumed these were farm buildings and indeed there was still a barn there in 1870 before it was demolished for works expansion. There was no farmer by the name of North but there was a Radcliffe Trustee, Lord North, in the latter part of the 18th century, so they may possibly have been named after him. perhaps he donated thee money to build these cottages for farm workers on the estate. Lord North was a former Prime Minister whose claim to fame is that he presided over the loss of the American colonies. This was probably a good thing in the long run although contemporaries saw it as the product of political mismanagement. We take public libraries for granted these days, even though they are somewhat under threat, and it is hard to imagine a society without them. Wolverton did not get its first public library until 1939, a full 100 years after the new town was first established. However Wolverton people did not sit back and wait for something to happen. Instead they too matters into their own hands and ensured that Wolverton’s reading public (by no means small) had access to books. In typical Wolverton fashion this was a co-operative venture and the advertisement I show above, from a 1937 Coronation brochure, tells us that the Working Men’s Clubs were active in this area. The Scocial Club – the Bottom Club – here advertises a lending library of 2000 books. The Central C;ub – the Top Club – also had a library. The oldest library in town dated from the earliest days when the Reading Room and Mechanics Institute was established and its successor, The Science and Art Institute, also maintained a library which could be accessed for a small membership fee. At the time that the Bucks County Council set up its branch library at 122 Chruch Street, Wolverton already had three active lending libraries. This to me is an excellent illustration of the ability of Wolverton people to take matters into their own hands. The first library as such was the Reading Room, built very early in the 1840s jus beside the cana; bridge. This view shows you the site, although the building has been much enlarged and adapted over the course of 175 years. 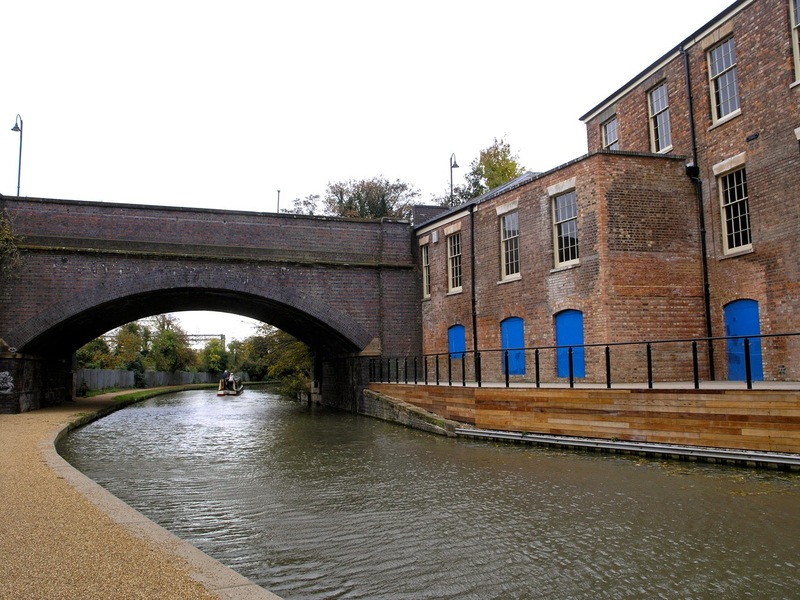 Originally it was a single storey and the canal bridge and the road was a lot lower in 1840. Later in the 1840d the building doubled up as a Wesleyan Chapel until the congregation acquired a purpose built chapel on Church Street. You can get some idea of the scope of this library from this report in 1849. A reading-room and library lighted by gas are also supplied free of charge by the Company. In the latter there are about 700 volumes, which have mostly been given; and the list of papers, &c. in the reading-room was as follows: Times, Daily News, Bell’s Life, Illustrated News, Punch, Besides the above there is a flying library of about 600 volumes for the clerks, porters, police, as also for their wives and families, residing at the various stations, consisting of books of all kinds, excepting on politics and on religious controversies. They are dispatched to the various stations, carriage free, in nineteen boxes given by the Company, each of which can contain from twenty to fifty volumes. In 1864, after 20 years of planning, financial setbacks, political arguments and rejected designs, the Science and Art Institute opened for adult education activities. It also accommodated a substantial library. It was for many years the most important library in the town. 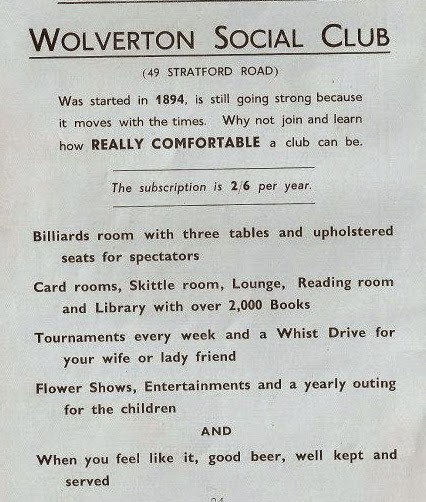 As noted above the Top and Bottom Clubs played an active role as lending libraries. 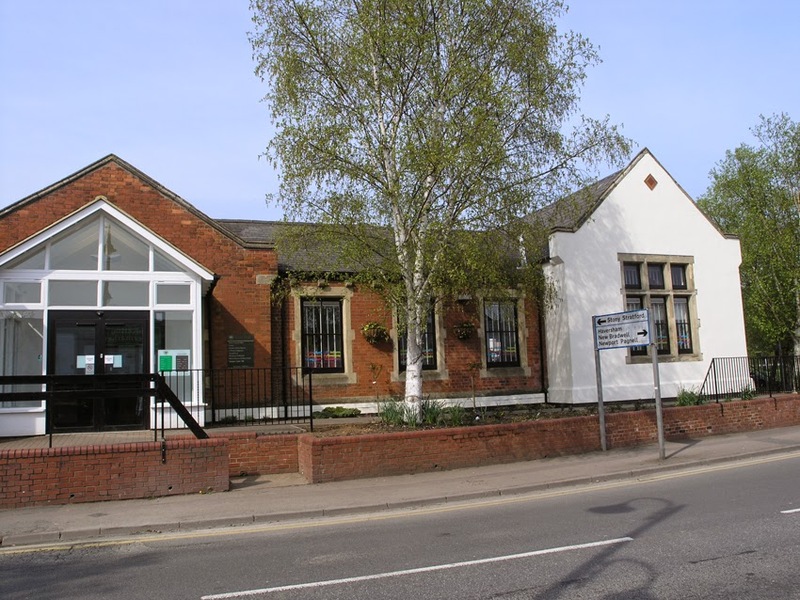 Finally, in 1949, Buckinghamshire County Council opened a branch library in Wolverton. 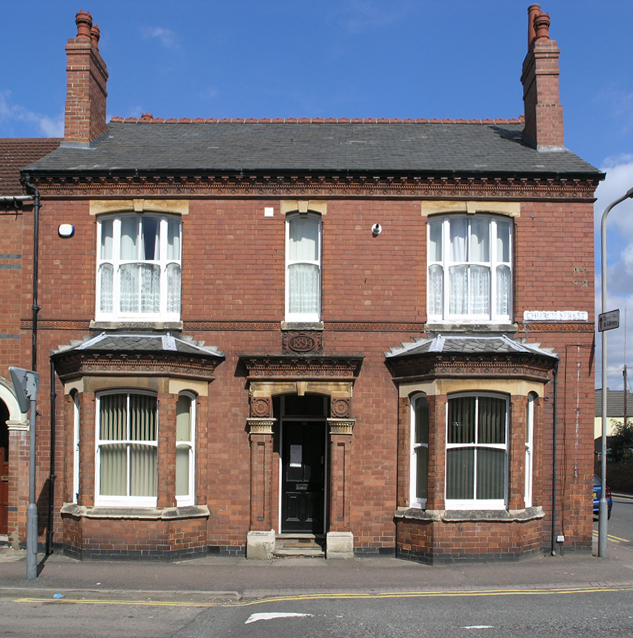 The double-fronted house at 122 Church Street (already in the Council’s possession) was partially converted into a library. The west side front room was the adult library and the east side front room was used as a children’s library. The library proved to be very popular and about a decade later a new extension to the building was constructed at the back. The foundation stone was laid by the Rt. Hon. Clement Atlee, Prime Minister from 1945-1951, and a plaque was built into the wall to commemorate the occasion. Many years later the Council decided to build a wheel chair ramp to replace the steps, and the plaque, just to the south of the original steps, was covered over with concrete. Why nobody thought to remove the plaque before this building work began and relocate it is something w might wonder at today. This library was finally closed about a decade ago and Wolverton’s original school, built in 1840, was converted into a library. The photograph below shows the modified building which largely keeps its original lines. The former classrooms to the north which accommodated girls and infants were demolished. The library is now in what used to be the boys classroom. The gable to the south would have been the residence for the schoolmaster. 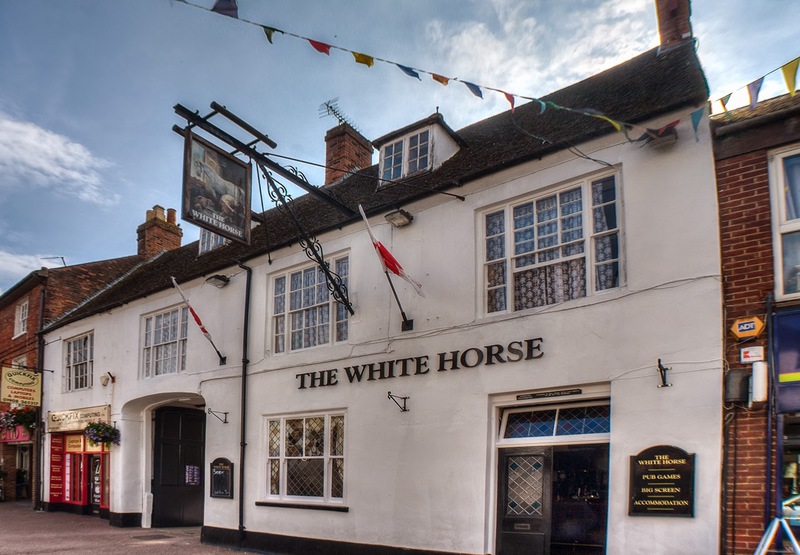 The White Horse looks as if it has been in Stony Stratford for a long time, and at one level it has. The present building was built in the late 18th century and first licensed in 1773. The site was probably occupied by earlier inns and it would be reasonable to assume that there had been other inns there that preceded this one. They were, however, not called the White Horse. The use, some might say overuse, of certain names in Stony Stratford’s inn history can be confusing. There are several reports of a White Horse in Stony Stratford. A White Horse gets mentioned in state papers in 1540, during the reign of Henry VIII. The Stony Stratford Guild apparently owned the house and there was a dispute between the wardens of the guild and the lessee. As is often the case with these disputes, the outcome or settlement was not recorded. Presumably there was one. In 1608-9 the White Horse (possibly the same one) was inherited by the son of William Matthew. If this was the same house then the Guild must have disposed of the property at some time during those 60 years. Its location will probably remain unknown. A White Horse gets mentioned in the Overseers accounts between the years 1672 and 1680 and again in the Bridge Charity accounts of 1734. We have to wait until 1770 before we can say with some confidence that the White Horse mentioned in the Constable’s book, which recorded military billeting, was very definitely on the east side of the High Street and this is corroborated by the licensing register of the period. The licensee was Samuel Gayton and he had been there for some years. It either closed down or became something else in 1772. Prior to 1761 the house had the sign of The Ship and was in the hands of William Ashpool (Ashpole) and curiously, Ashpool had changed the name from the White Horse to the Ship in 1754. We don’t have a lot to go on. Was this White Horse on the East side the same one that had been mentioned in the 17th century and the 16th century? Possibly, but we cantons with confidence because Stony Stratford’s inn names did change with some regularity. The inferred location of this White Horse, taking the Constable’s book as a guide, is that is was somewhere around where the Kardoman Restaurant is, possibly on that site itself. prior to New Street being built in the 19th century, the former Ram Alley would have been at the corner of Kardoman. That particular building underwent a number of rebuilds. 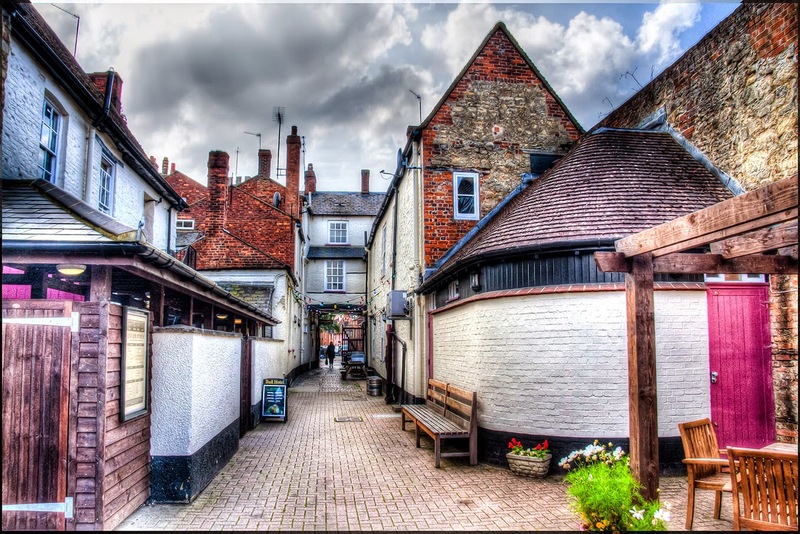 It opened in 1820 as a new inn called The Swan. Later in the century the name was changed to the White Swan, which it held for most of its life as a pub, apart from a brief excursion as the Stratford Arms towards the end of its life. The present building, although it looks quaintly half timbered, is only 100 years old, being rebuilt on the site in 1915. As you can see from this photograph, taken circa 1911, the former White Swan has a very different frontage. Back to the present White Horse. This is now approaching 250 years of continuous operation. The arch to the yard is quite high to allow the spring 18th century coaches to pass through. It is worth comparing that to the much older Cross Keys further to the north, which has a low arch. When it was built carriages sat on the axle and were quite low to the ground. 2015 seems to be popular for centenaries. We have Agincourt and waterloo to start with, but 1815 was also of some importance to Wolverton, for it was the year that James Edward McConnell was born. He also contrived to enter this world at the very beginning of the year – January 1st. He was born in Fermoy, County Cork in Ireland, where his father had a successful ironworks, so the young McConnell was born into this new industry. However he was not to grow up at his father’s right hand, so to speak, because he was left fatherless in 1819 at the age of four. He was then packed off to an uncle in Ayrshire. He began his career with a Glasgow company, Girdwood and Co and in time progressed to become a foreman, and later superintendent at a Liverpool company, Vernon and Co. It was probably here that he came to the attention of Edward Bury, who proposed him as engineer for the Bristol and Birmingham Railway in 1842. Only five years later, in 1847, he succeeded his old mentor Edward Bury as locomotive Superintendent at Wolverton. McConnell wa superintendant at Wolverton for 15 years and oversaw a remarkable engine building program. In 1862 he had differences with Sir Richard Moon, the bustling new chairman of the LNWR and resigned. Locomotive building and design did not really survive McConnell. Wolverton largely returned to its original function as a maintenance depot for the next decade until the LNWR workshops were rationalised in the early 1870s. Wolverton henceforth became a carriage works, while locomotive building was concentrated at Crewe. By coincidence, this year is also the 200th anniversary of the birth of Moon, who was born in Liverpool on February 23rd. McConnell lived at Wolverton Park House during his Wolverton years. After 1862 he moved to a large house in Great Missenden and continued his career as a consultant engineer for various domestic and foreign railways. The 19th century was a period of transition in the practice of brewing and over this period in house brewing eventually ceased in favour of having barrels delivered weekly by specialised brewers. As with all these enterprises a lot of small outfits gradually merged into larger more centralised breweries, a process that continued throughout the 20th century. Newport Pagnell managed to retain its brewery until 1920 but the Stony Stratford breweries had a relatively short life before being obliterated by the larger breweries. By the end of the century Stony Stratford pubs were served by either of the two large Northampton breweries, Phipps and NBC or by the Newport Pagnell brewery, which was taken over by Charles Wells of Bedford in 1920. Two operations in this period seem to have made the transition from ann in-house brewery to something on a larger scale. One was associated with the Bull and the other with the White Hart on the Square. The first specialist brewer of record was Thomas Carter. He is described as a “Common Brewer” in the 1841 census and is listed as a Brewer in the 1844 Pigot Trade Directory. He was also listed as the proprietor of the Bull and as a beer retailer in New Wolverton. It is probable that the brewery was in an outbuilding at the back of the Bull or at the back of one of the adjoining properties. When the Bull was up for sale on 26th July 1832 the brewhouse was described as “lately considerably repaired.” He did not live at the Bull but instead at a house further down the street, Number 46, presently occupied by a bookmaker. There is no reason to suppose that brewing took place at this address. The two Wolverton Public Houses were the Radcliffe Arms and the Royal Engineer, both presumably in the early days of Wolverton selling great quantities of beer to the new and growing population. The Bull may not have been doing so well and it seems that the prime asset was the brewery. The owners, John Congreve and Joseph Clare, may have been interested in realising some capital from this, but would also settle for a lease. The brewery must have been state of the art for the time and by being able to supply three houses began a trend that saw future breweries increasingly tying houses to their brand. Edwin Revill had the ironmonger’s shop next door and it is possible that George Thorne’s drapery business was in the shop on the other side of the Bull, now occupied by the Vaults. They formed a partnership and, as well as continuing their main business activities, established the Revill & Thorne Brewery, later known as the Britannia Brewery. Edwin Revill senior died in November 1853 and was succeeded by his son, also Edwin. His father’s death may have been the stimulus to bring in Thomas Phillips to manage the brewery. The Phillips family had extensive brewing interests across the country and founded several major breweries. Thomas Phillips was from the Bicester branch of the family. He moved to Stony Stratford in 1854 and it appears that his brother William established an agency for this brewery in Northampton in November 1855. In November 1857 Thomas Phillips, together with his brothers William and Arthur founded the Northampton Brewing Company and he mode there the following year. His association with Stony Stratford was therefore brief. And this history of the Britannia Brewery in Stony Stratford is sketchy indeed. Apart from this record in the Phillips family archive the Britannia Brewery is mentioned in one trade directory, that of Musson and Craven, which made one appearance in 1853. There was also an advertisement in the Northampton mercury on Saturday May 12th 1855 offering the Wheatsheaf at Loughton for let and asking applicants to apply to Mr. T. Phillips, Britannia Brewery, Stony Stratford. 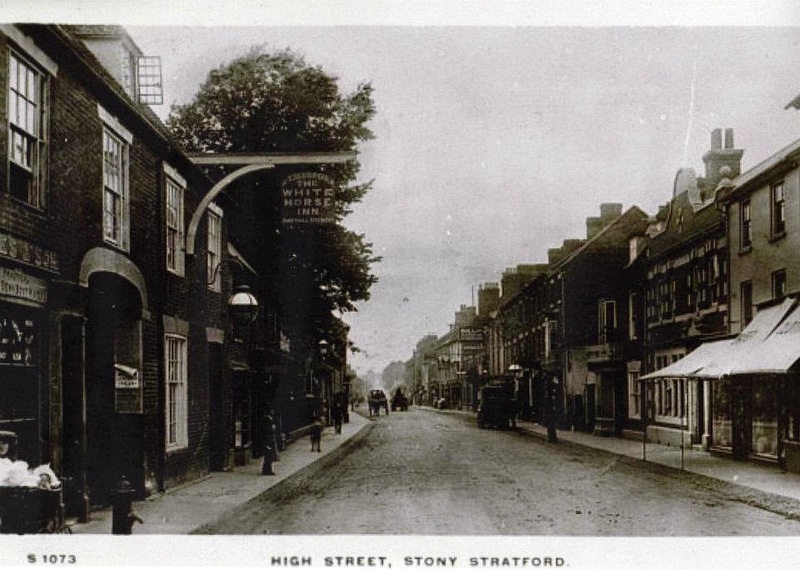 He was still in Stony Stratford at that date. The brewery does not appear to have survived Phillip’s departure because no more is heard of it. A few years later, the younger Edwin Revill sold the ironmongery business to James Odell, which business is still in the same family. Northampton offered greater opportunities to Thomas Phillips and within a year or two the Northampton Brewery Company had been founded. In the years that followed NBC, together with Phipps, came to dominate beer sales in Stony Stratford. 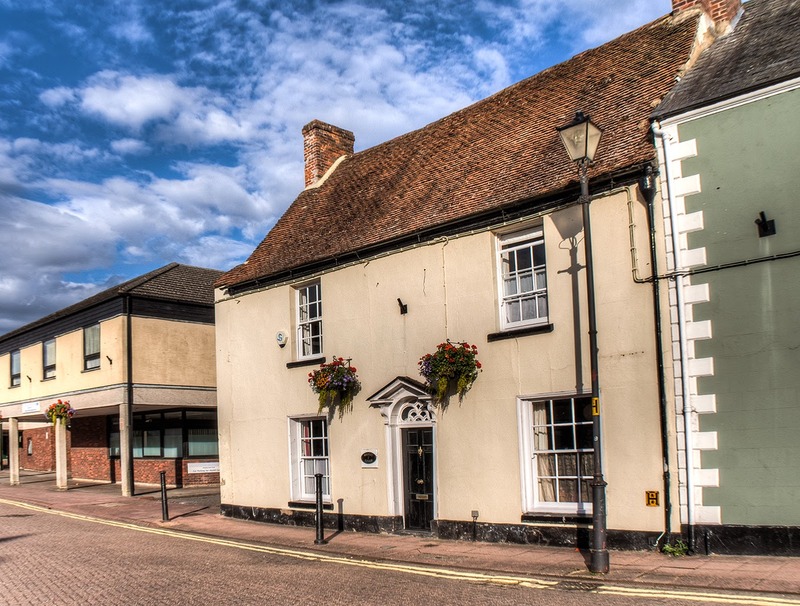 Only the Newport Pagnell Brewery had a toehold in the town, supplying the Plough. In 1875 two of the Phillips brothers sold their share of the business. One was Thomas who then moved to Newport in Monmouthshire where he bought the Newport Brewery. 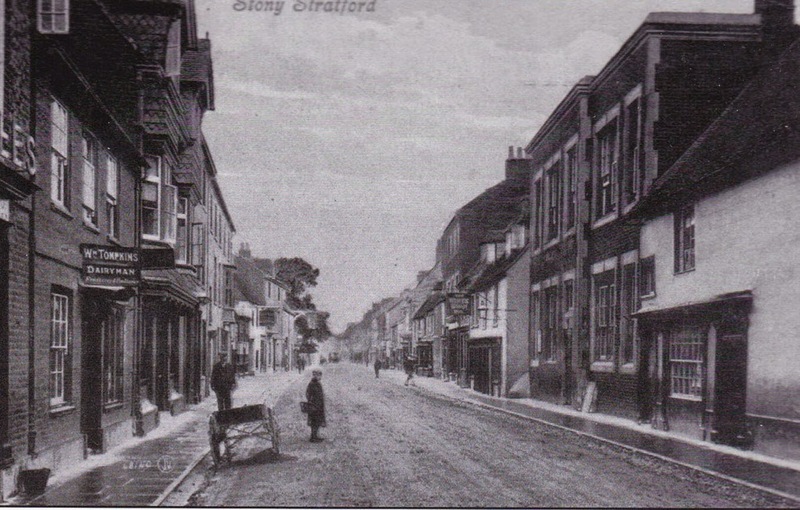 One of his sons, Frederick, who was born in Stony Stratford, entered and continued the business. 7 Market Square. The Tompkins brewery was on these premises in the middle of the 19th century. The brewery supplied the White Hart best door. 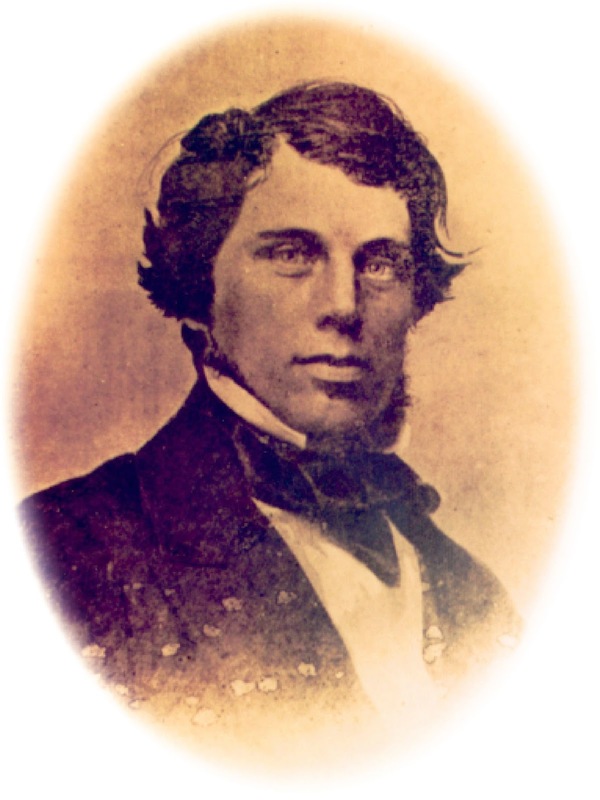 The other brewery of significance was operated by William Tomkins at 7, Market Square. He owned the White Hart next door which must have been his principal outlet. He was listed as a brewer and maltster and Joseph Rogers was recorded as the licensee for the White Hart. Tomkins will of 1856 makes clear that he owned the property and he described the White Hart as “partly occupied by me and partly occupied by Joseph Rogers”. He makes his first appearance in 1847 in the trade directory. After his death in 1856 one of his sons, John Tomkins took on the brewing business and the White Hart continued to be leased to tenants. The brewery certainly satisfied the thirst of the customers of the White Hart, which, according to Markham, “brewed the best beer in town,” an endorsement of Tomkins’ expertise as a brewer. One assumes that Tomkins also provided other houses with his ale and made the business viable. This brewery stayed in business until about 1880. By 1883, this business seems to have gone for good. It is a similar story with the Golbys, who appear to have taken up the brewing mantle after Revill & Thorne dropped the ball. Their last entry is in the trade directory is 1877. In the same period the Royal Oak was also characterised as a brewery. This brewing business was taken over by Samuel Nichols in the 1870s but it does not appear to have had much of a life after that. William Whiting was another “cottage brewer” of the period, plying his trade on the High Street in 1851 and then on Church Street in 1861. The ready movement of men like Carter and Whiting is an illustration of how simple brewing was on this scale in the 19th century; they were able to pick up and move with some ease. By 1880 larger breweries in Newport Pagnell and Northampton were able to service pubs in Stony Stratford. Thereafter Stony Stratford public buses were entirely dependant on breweries further afield and as these larger breweries became richer they began to buy up public houses and either let them to a tenant or install a manager, thereby creating the “tied house”, ensuring that only their products could be sold.